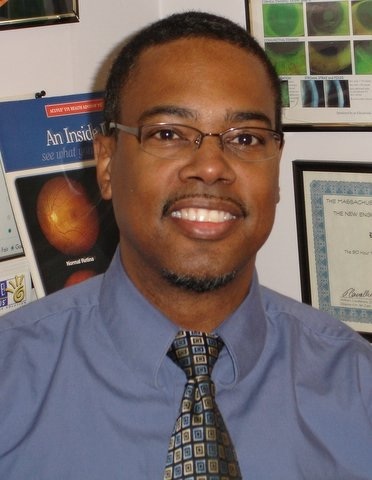 Dr. Everett Sabree is a graduate of the New England College of Optometry. He has been with the Dartmouth Street Vision center for over 25 years. He is active in a number of professional organizations aimed at improving the practice of Optometry. Dr Sabree is a member of the American Optometric Association, and the Massachusetts Society of Optometrists. He also serves as a clinical instructor for the NE college of Optometry. As a general optometrist, he sees patients for routine eye exams, management of eye diseases such as glaucoma, cataracts, Macular degeneration, dry eyes, diabetic eye problems and laser surgery. Dr Sabree specializes in fitting all types of contact lenses, including bifocal and astigmatism lenses. 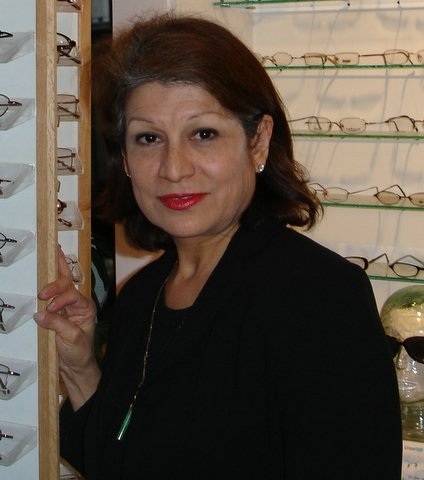 Ms. Edna Ocasio is a licensed Optician and eyeglass frame consultant. She has been at the Dartmouth Street Vision Center for over 25 years. She will assist in helping pick the perfect frame for your face shape and prescription.